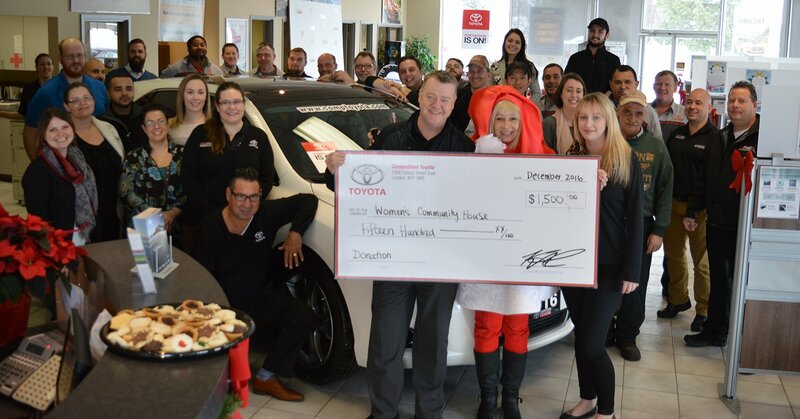 At Competition Toyota, we strongly believe in giving back to our community. We support various charities in London throughout the year and as the holidays approached, we decided we wanted to do something big to give back. Instead of having our staff Christmas party, the staff wanted to help those in need. 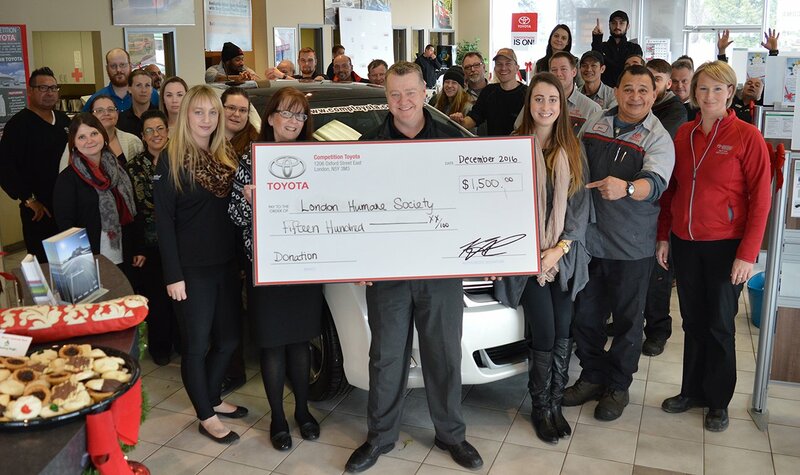 We decided to donate $25 from every new and pre-owned vehicle sale during the month of November and December and split it between the Women’s Community House and the London Humane Society. We had a special holiday lunch right before Christmas and we were fortunate enough to have representatives from both charities attend! Judy from the London Humane Society and “Red Hatt” the Holiday Heroes Mascott from the Women’s Community House joined us for lunch and a special cheque presentation. We are happy to announce that we raised $3,350 for the charities! Thank you to everyone that purchased a vehicle during November and December, you made this possible!